Our long wooden dining table has seen many luscious lunches and dinners. It has its scars and scratches and I’m sure that a few of them came from an unexpected meal with friends a few months ago. It must have been spring, I was still busy proof reading my book and I was rather stressed. What was supposed to be a one hour snack with a friend from Malta turned into a little Friday feast, with three friends, salads, cheese, and salami, and with a few more bottles of white wine than one should open (and empty) on a Friday afternoon – but who cares, we had a wonderful time. We laughed so much that I managed to relax and forget my duties for a few hours – and it was the start of this meet in your kitchen feature. One of the friends who sat at my table that day was my dear Heilala. Whenever we meet, we get lost in long conversations. Between nibbles of cheese and sips of wine, she told me about a friend from her school days who just published her first cookbook and had also gone through all the excitement that comes with the adventure of being a book author. Her friend lives in the heart of Tuscany, in Florence, once the breeding ground of breathtaking Renaissance art and architecture. If you’ve seen it once, you’ll never forget its magical beauty. 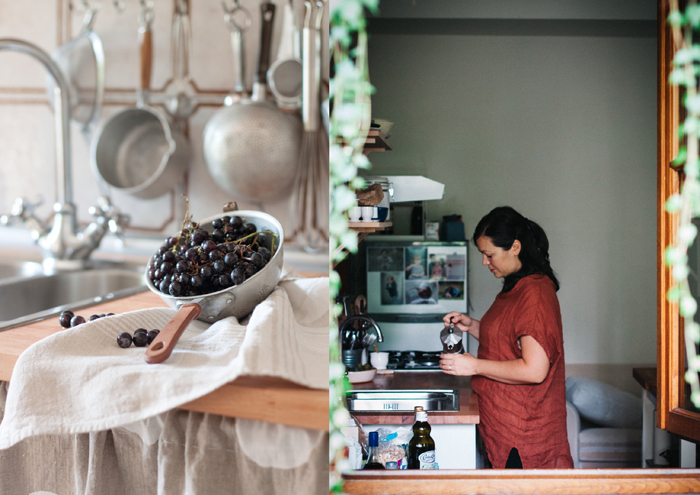 So Heilala told me that her friend lives right there, in this Italian paradise with her Italian husband and their little daughter, she writes a food blog and as I found out later, she’s already at work on her second cookbook – she’s called Emiko Davies. I knew Emiko, not personally, but I’ve been a huge fan of her work for quite a while. Her recipes, her writing, and her photography have depth, every single aspect of her work shows that she’s knows what she’s talking about. Every picture she shares speaks of the beauty that surrounds her. If you live in a place that’s so full of history, culture, and evolving traditions, where the fine arts have flourished for centuries, you can only grow. 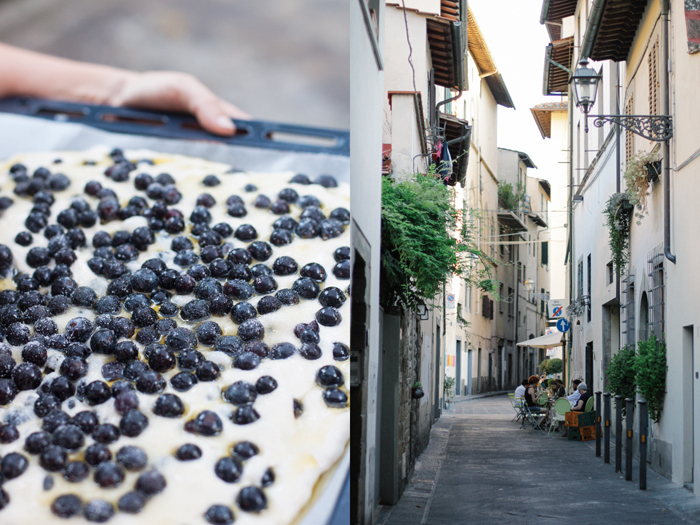 The former art and history student dug deep into Florence’s culinary traditions. 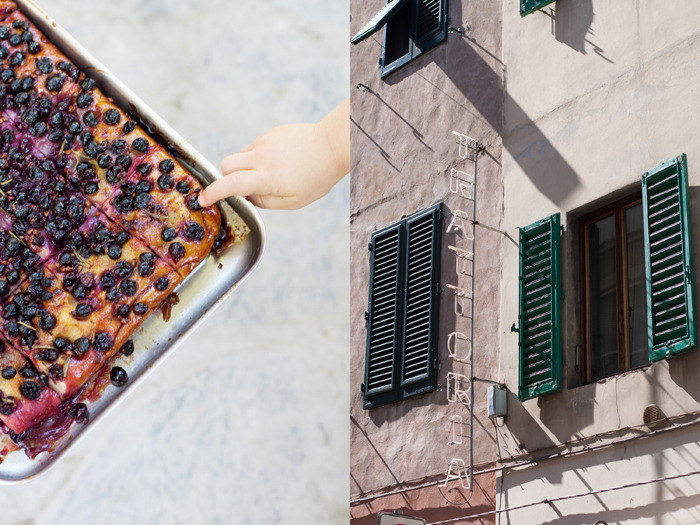 Like a scientist, she observed, read, and learned about the original cooking and baking of this part of Tuscany, a region that’s so versatile and rich. Florentine, The True Cuisine of Florence is a declaration of love, of someone who has experienced the city from the outside and has now become a part of it. The curiosity and persistency of this food loving woman fascinated me – even more so after I found out that we share a beloved friend. 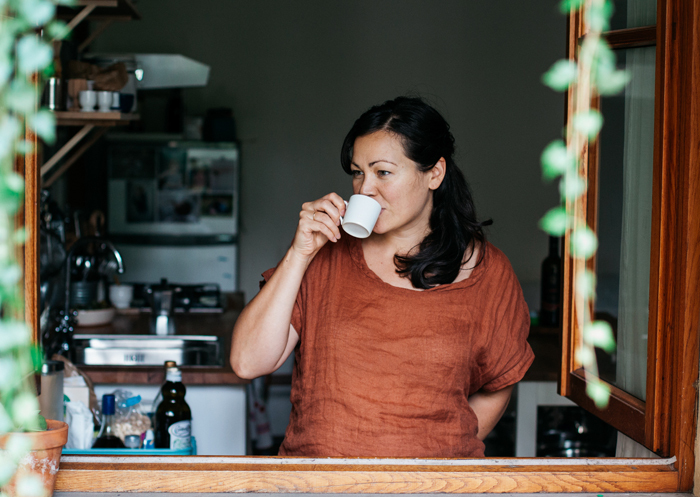 We only got in touch last week, but I immediately knew that I wanted to meet Emiko in her kitchen. For know it’s just a virtual meeting, but I’m planning to visit her next year, in real life – to be continued. All pictures in this post are taken by Emiko Davies. For one or two fleeting months of the year from September to October, the appearance of schiacciata all’uva in Florence’s bakery shop windows is a sign that summer is over and the days will begin to get noticeably shorter. 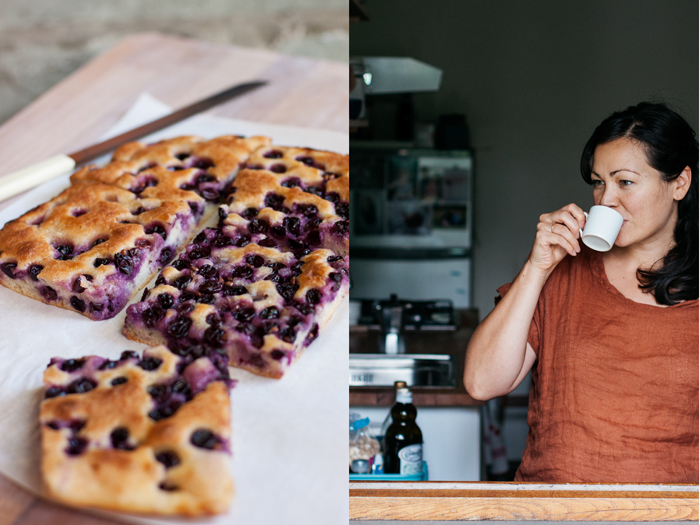 This sticky, sweet focaccia-like bread, full of bright, bursting grapes, is a hint that winemakers are working hard at that moment harvesting their grapes and pressing them. These days, it is usually made with fragrant, berry-like concord grapes (uva fragola) or the more traditional sangiovese or canaiolo wine grapes. These grapes stain the bread purple and lend it its juicy texture and sweet but slightly tart flavour. They are also what give the bread a bit of crunch, as traditionally the seeds are left in and eaten along with the bread. Avoid using red or white seedless table grapes or white grapes for this – they just don’t do it justice in terms of flavour or appearance. If you can’t get concord grapes or it’s the wrong season, try replacing them with blueberries. It’s completely unorthodox, of course, but it’s a very good substitute, giving you a much closer result than using regular table grapes. This can be done the night before you need to bake it, or a couple of hours ahead of time. Sift the flour into a large bowl and create a well in the centre. Dissolve the yeast in some (about 1/2 cup or 125 ml) of the lukewarm water. Add the yeast mixture to the centre of the flour and mix with your hand or a wooden spoon. Add the rest of the water little by little, working the dough well after each addition to allow the flour to absorb all the water. Add 1 tablespoon of extra-virgin olive oil to the dough and combine. Separate the grapes from the stem, then rinse and pat dry. There’s no need to deseed them if making this the traditional way. Grease a 20 cm (8 in) x 30 cm (12 in) baking tin or a round pizza tray with olive oil. With well-oiled (or wet) hands, divide the dough into two halves, one slightly larger than the other. Place the larger half onto the greased pan and with your fingers, spread out the dough evenly to cover the pan or so that it is no more than 1.5 cm (1/2 in) thick. Place about two-thirds of the grapes onto the first dough layer and sprinkle over half of the sugar, followed by about 30 ml (1 fl oz) of olive oil and 1/2 teaspoon of aniseed. 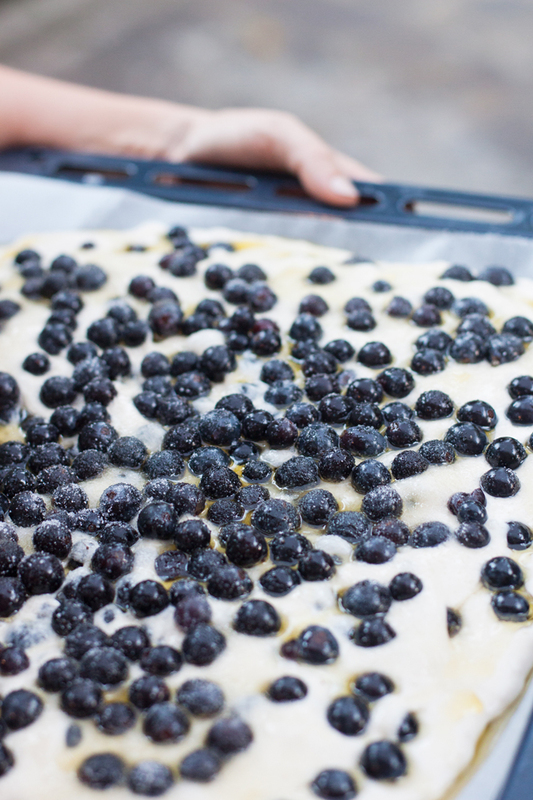 Stretch out the rest of the dough to roughly the size of the pan and cover the grapes with this second layer of dough, stretching to cover the surface. Roll up the edges of the bottom layer of dough from underneath to the top, to seal the edges of the schiacciata. Gently push down on the surface of the dough to create little dimples all over. Cover the top with the rest of the grapes and evenly sprinkle over the remaining aniseed, sugar and olive oil. Bake for about 30 minutes or until the dough becomes golden and crunchy on top and the grapes are oozing and cooked. Remove from the heat and allow to cool completely. 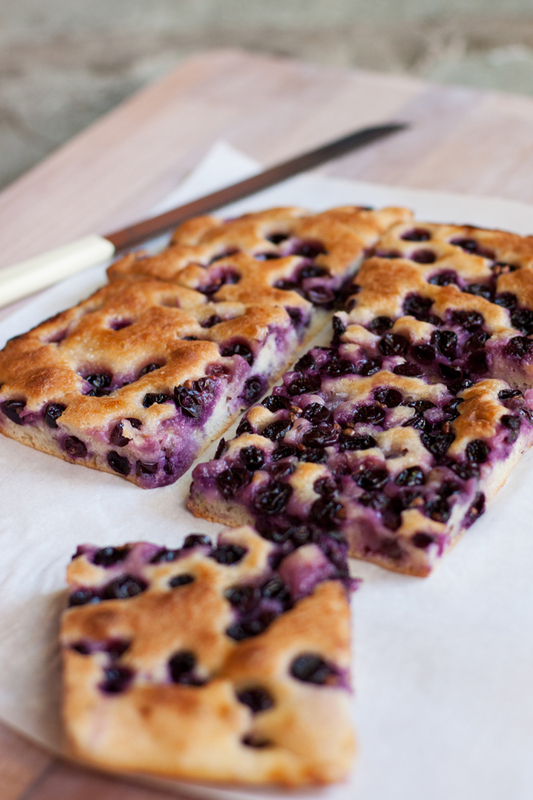 Cut into squares and enjoy eaten with your hands. If you like, dust with icing (confectioners’) sugar just before serving – although this isn’t exactly traditional, it is rather nice. This is best served and eaten the day of baking, or at the most the next day. You’ve lived in many countries and experienced a variety of cultures in your life, your mother is Japanese, your father is Australian, your husband is Italian and you grew up in Beijing. 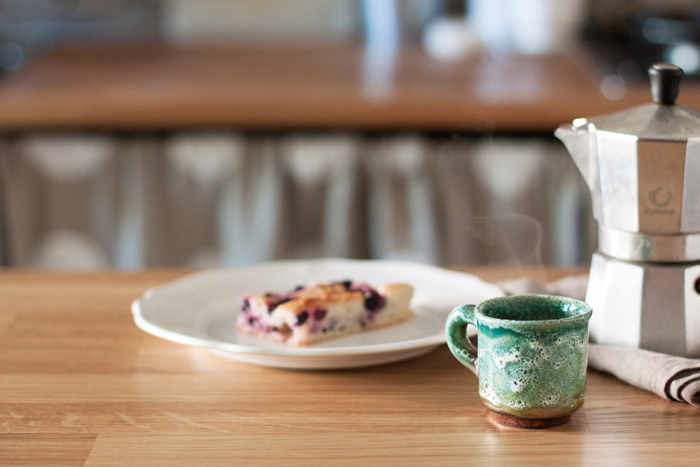 How has your diverse cultural identity influenced your life and cooking? Moving around a lot and identifying with different cultures, I grew up not feeling like I was particularly attached to just one place. I think this made it very easy (perhaps even necessary – at least that’s how I felt about it when I was 20!) for me to pick up a suitcase, buy a plane ticket and move to a new country to learn a new language and discover the new culture. I am also pretty sure this travel and experience partly contributed to me being an adventurous eater – always willing to try anything once. From the beginning, I understood that food is a way to connect with and understand a new culture – if, for Florentines, their number one beloved comfort dish is a warm panino made with the fourth stomach of the cow (it’s known as a panino al lampredotto), then you can be sure it’s one of the first things I tried – and fell in love with too! What do you love the most about Florence? Do you find anything difficult to connect with? There are many sides to Florence and the longer I live here, the more I discover another aspect! When I first moved here, it was so easy to fall head of heels for Florence – especially for someone who studied art and art history as I did! Everywhere you look, the place is touched with the Renaissance and the most important artists in history, it’s like one giant museum. That’s what drew me in. And it’s what drew a lot of expats to Florence, so there is a large expat community with many similar-minded people, who are all here for similar reasons (love, food or art, usually!). I made friends easily here and felt really at home, ironically (as I always feel more at home amongst expats). But having said that, I find it’s really difficult to make friends, really good friends, with Florentines. That’s been a struggle. I ended up meeting and marrying one, but I have to say, he’s quite different from the typical Florentine man! Was it easy to become a part of the Florentine way of life? I think yes and no. Living it the historical centre of Florence, visiting the local butcher or fruit vendor or bakery for your shopping, the same bar for coffee every morning, you begin to get to know your neighbourhood and they begin to know you, it becomes your little world. I’ve met some wonderful people this way, and this feeling of a neighbourhood or quarter is something I love about Florence – something that I hope everyone who still lives in the centre continues to cling on to, as tourism tends to take over in a city like Florence. On another aspect, since having a child, I can see the cultural differences coming out more than ever! My parenting ideals are much more anglo-saxon and more often than not they seem to clash with the ‘norm’ here! Your husband is head sommelier at the Four Season’s Michelin-starred Il Palagio, do you find it inspiring that both of you work in the fields of the culinary pleasures of life? Always. We work in two quite different worlds – I write about and cook homely, traditional food, while he has, for the past five years or more, worked solely in fine dining and wine. But at home we always cook together and we have a similar appreciation for good food and good ingredients, cooked properly. He inspires me and helps me in ways he probably doesn’t know. You say that “Italian cuisine doesn’t exist, there are many cuisines”. Why do you think regional cuisine is so diverse in Italy? There are many theories, but the simplest answer is history. Italy is actually a very young nation – it was unified in 1861, that’s little more than 150 years ago! But the traditions, dialects, dishes and ways of life of each region are ancient. In many cases, even the differences you’ll find from town to town are huge. This is what makes Italy such a fascinating place – it’s not really one country to discover but so many different places, which means it’s almost a new cuisine in every town you visit. On your blog, you mention an author called Pellegrino Artusi and his cookbook, known in English as Science in the Kitchen and the Art of Eating Well, published in Italy in 1891. Can you tell us a bit about this book and why it fascinates you? Italy had only been unified for 30 years when this book – documenting 790 “Italian” recipes – was published. 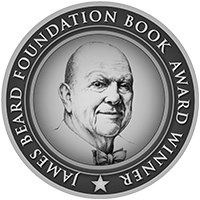 It became the sort of cookbook every household acquired and had sitting on the shelf. Artusi himself was from Emilia-Romagna but he spent much of his life in Florence, so many of the dishes are Tuscan, or familiar to Tuscans. But it wasn’t meant to be a regional cookbook, it was more like an encyclopaedia of recipes for the “modern” housewife. I love it because it’s not only a snapshot into what Italian food was when the country was newly unified, but also because many of the recipes are still made the same way, so it’s a fantastic reference for traditional recipes. It’s a good read, too, Artusi is witty and at times hilarious in his anecdotes that accompany recipes. Why do you think that there are many Florentine dishes that didn’t change much since medieval times? Traditions change very slowly in Florence! They have this saying here, la squadra che vince non si cambia, or the don’t change a winning team. It’s a bit like the phrase, if it ain’t broke, don’t fix it. Partly there’s that at play, it’s the proud nature of Florentines to continue to prepare and eat their all-time favourite dishes more or less the way they’ve been prepared for centuries. There’s also the philosophy to cook the local ingredients that have always been available for Florentines, and to use the long-time staples of the cuisine – bread and olive oil being two of the most important! These have been around for a long time and are still what humble, earthy Florentine cuisine is based on. Can you imagine living in Tuscany for the rest of your life? For the same reason that I’ve always found it easy to pick up and move, I can’t really imagine being in one place forever! But I’ve lived in Florence longer than any other single place on the planet, so that’s already quite an achievement! Italy is not an easy place to live in, despite the romanticism and beauty. I think that we are lucky to have the option to be able to live in two wonderful countries – Australia and Italy – whenever we want. For now, it’s Italy’s time. 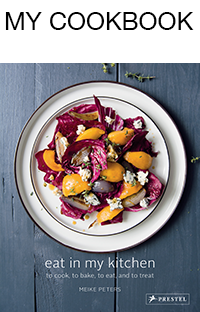 Florentine, your first cookbook, came out in March this year. At the moment you’re working on your next book, Acquacotta, which will be about the cuisine of the southern Maremma area of Tuscany. It will be published exactly a year after the first one. Why did you decide to start working on the new book immediately and what feels different now, after the experience of the first book? It came about quite quickly because we were living in Porto Ercole, in southern Tuscany for six months last year, well before Florentine came out, and it was just such a beautiful place I knew it had to be shared in the form of a cookbook! So I contacted my publisher and we talked about the pitch for a couple of months and came up with Acquacotta. She was aware that starting to work on it while I was living there would be the best way to bring it to life, so essentially I started working on Acquacotta while I was still finishing Florentine. It’s been difficult to juggle between the two and ‘switch’ from one to the other when Florentine finally came out, but the experience of the first book has helped me feel much more confident about the second one – from the recipe testing to the writing to the photographs, even how the recipes were made and shot. It really helped that I have the exact same wonderful team from Florentine working on this book too, it felt really good and seemed to just make itself, almost! Your photography is stunning, do you prefer taking the pictures of your dishes yourself? Thank you! I still feel like I have a long way to go – my background is in analog film photography, and I still feel like I struggle with digital photography, especially the editing part. I’m self-taught for the most part. For my blog, I take all my own photographs, but for the cookbook I took the location photographs, leaving the recipe shots to a wonderful photographer Lauren Bamford. In Australia, a cookbook is really a team effort, with one professional looking after each and every aspect of the book. For the recipe shots, I wanted to make sure the dishes looked completely authentic and real – just like how you’d find them in Florence. So I cooked them myself (with some help from my husband Marco and a home economist) and while I was busy in the kitchen, Deb Kaloper, an absolute magician in food styling, styled the dishes and Lauren Bamford took the photographs. It was a dream to work with them. How do you develop new recipes for your book and your blog? What inspires you? What inspires me most is travel and seeing how a place – its landscape, its history – is so strongly connected to the food that is made there and vice versa. It’s why I am so interested in regional Italian food. In Florentine I wanted to share how the food in this city belongs entirely to Florence – not just Tuscany. It’s not Tuscan food. It’s Florentine food. And for Acquacotta, which is still about Tuscany, I wanted to show people how different Tuscan food is when you come to a place like the Maremma – more isolated, less touristy, hidden, and full of beautiful, rugged landscapes, mountains and the sea, which inspire the food. For the blog, I talk about not only dishes that I’ve found in old cookbooks or tasted in a new place, but also create some travel pieces for people who might be coming to Italy on holiday and want to avoid touristy food and know where to taste the real deal. 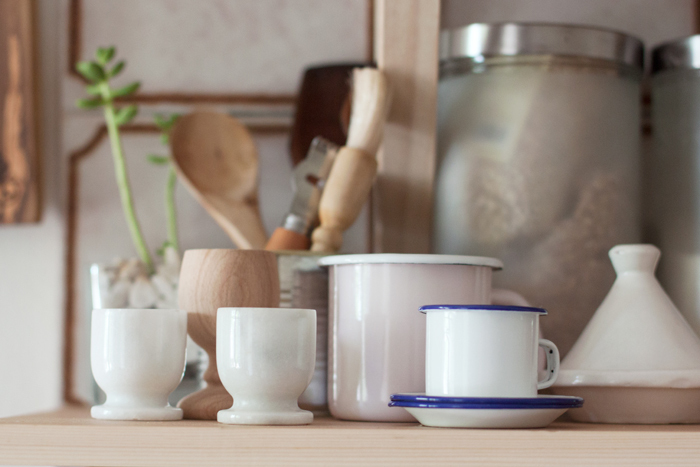 Who is your biggest inspiration in the kitchen? In every day cooking, it’s probably my husband. Everyone who likes to cook for other people knows that the best thing about cooking is making something that you know someone else will love! In developing recipes for the blog and my books, it’s usually some old cookbooks that inspire me to try new dishes – aside from Artusi, I also love Ada Boni’s 1921 cookbook, Il Talismano della Felicita’ (known as The Talisman in English) and Elizabeth David’s Italian Food. I’ve discovered some other older cookbooks recently that I have at my bedside table too, like Patience Gray’s Honey from a Weed and Jane Grigson’s Vegetable Book. I can remember a few mud pies when I was very little, but from memory the first real food I made was scrambled eggs. My grandmother in Sydney taught me how to make them, using real butter and showing me how to take them off the heat when they’re still soft and wobbly, just before they look ready so you don’t risk overcooking them. I still make it the exact same way. 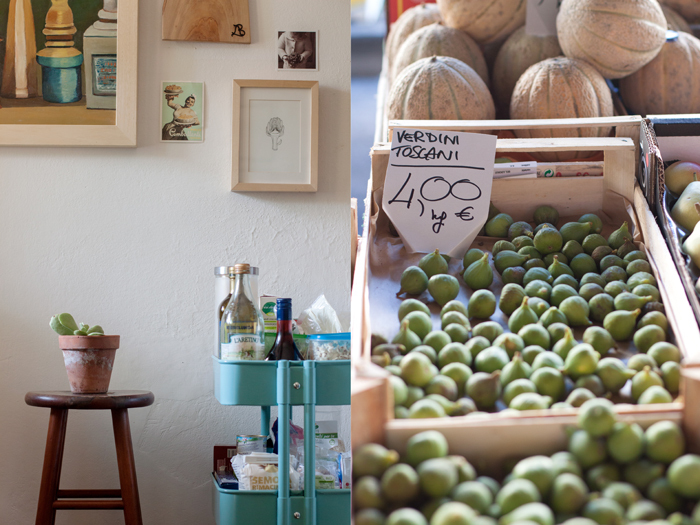 What are your favourite places to buy and enjoy food in Florence? 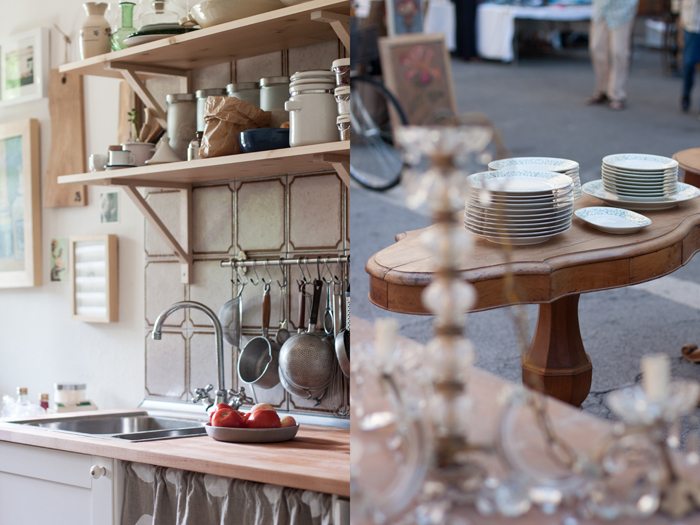 My favourite food market is Sant’Ambrogio. It’s a local market on the eastern edge of town. It’s not huge but it’s got everything you’d ever need and more. Plus there’s always a nice neighbourhood vibe there, and we have a little ritual of stopping off at the news stand, then going to a pastry shop for coffee and a mid-morning treat. It’s the little things. Many of my favourite restaurants are in the same square as the market – Caffe Cibreo is a really pretty spot for coffee or lunch, and the buffet lunch at Teatro del Sale is one of my favourite food experiences in Florence. Pasticceria Nencioni a little down the street is a wonderful, tiny pastry shop and right next to the market, Semel, a little hole in the wall panino shop, makes a fantastic quick lunch – a crunchy roll with maybe some anchovies, fennel and orange (my favourite one) and a small glass of wine. It’d probably be my mum, I’d ask her to make me my favourite Japanese dishes – cold somen noodle salad and chargrilled baby eggplants if it’s summer, miso soup with clams, her sushi and sashimi platters. Whenever I’m home I always request sukiyaki or shabu-shabu (a hot pot dish where each diner cooks their own food in the bubbling pot in the middle of the table) at least once. Food that is unfussy to make (i.e. easy for the cook) and easy to share (i.e. fun and informal for the guests) – a creamy chickpea soup or a steaming pan of freshly tossed vongole and spaghetti, a roast of some sort (a whole roast fish or chicken are my favourites), stuffed with lots of herbs on a bed of roast potatoes and cherry tomatoes so you have the main and side dish in one. Dessert, either an after-dinner stroll to the gelateria or some whipped, coffee-laced ricotta with homemade lady finger biscuits to dip. I loved everything as a child, but in particular I loved Japanese food and Japanese sweets – anything with sweet red bean paste is my weakness! They’re still my favourite, most comforting foods, but it’s very hard to get good Japanese food in Italy so I wait until I’m visiting my mother to indulge in it. I like the social aspect of cooking together, when you’ve got something special planned and there’s a lot to do, it’s nice to have someone to chat to while you’re chopping, or kneading or stirring all day. But when I get the chance to have some time to myself (rare these days, with a three and a half year old around! ), I like to be alone in the kitchen, cooking is very therapeutic and relaxing, almost meditative, for me. That’s one of the reasons I’m looking forward to the cooler weather, so I have a good excuse for long, slow cooking and baking, my favourite ways to cook. I do like both, but I think I might be rather good with improvising a meal! One of my best food moments was pulling together a totally improvised meal for my very new boyfriend (so new I probably couldn’t even call him that!) from a practically empty fridge. I made him pasta with broccoli and garlic. He took one bite and said “I’m going to marry you.” And he did. I don’t know if there’s something I’d never do, but probably things I’d change the next time I tried it. For me, right now, being a mother and writing cookbooks, I have to be a bit picky with what I cook when I have the time to do it, so I tend to lean towards low maintenance, unfussy, simple dishes. Things that are fiddly and require every minute of my attention are things I avoid lately – caramel, for example, is something I may not try for a while! Happy meeting in the kitchen and happy feasting! I love this interview! I was just at a Roman restaurant last night, attempting to relive my time in Tuscany for a night. The Roman pizza there was drastically different from what I had in Lucca and Florence, which reminded me how regional Italian cuisine is! I love Emiko’s story. It is a great depiction about how one gets caught up in the culture of food and a city. I have been to Florence, and it is magical. I have also traveled a lot of Italy from Rome north to the Dolomites, so I appreciate her comments about Italian cuisine being regional. I will be looking for her cookbook and trying her Schacciata all’uva! Emiko’s such inspiration, she truly understands Italian cuisine. After I interviewed her I wanted to pack my bags and fly to Tuscany 🙂 Next year!